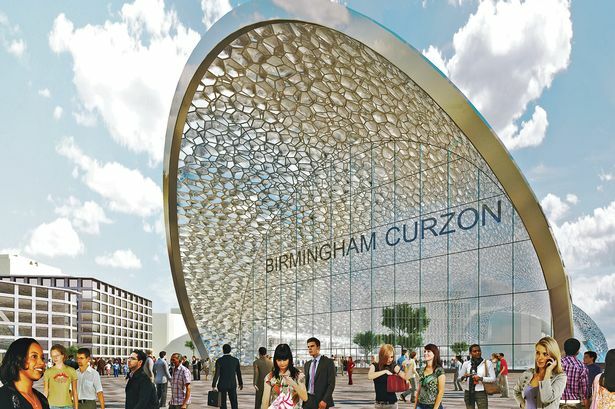 Laws allowing the construction of a high-speed railway line linking Birmingham and London have been approved by an overwhelming majority in the House of Commons. The Bill successfully passed its "third reading" in the Commons, the final vote on the legislation, with MPs voting 399 to 42 in favour. It means plans for the HS2 line have now taken a major step forward as the Bill will pass to the House of Lords for final approval. If granted, construction will begin next year. Transport Secretary Patrick McLoughlin said: "Once again Parliament has backed HS2 and brought this vital new railway one step closer to reality. "British contractors are now bidding to build the line, British apprentices are waiting to work on it and British cities are waiting to benefit from it. "We expect HS2 to begin construction next year. As we enter this new phase, I make three pledges. "We will work closely with those communities affected by the HS2 route, we will keep a firm grip on costs and we will drive maximum value for money from this new railway." The legislation only authorises construction of the first phase of the line, and separate laws will be needed to authorise phase two, which runs from Birmingham to Leeds and Manchester. Transport Minister Robert Goodwill told MPs the HS2 high speed rail link would be run by the state to prove it worked before being passed to the private sector.